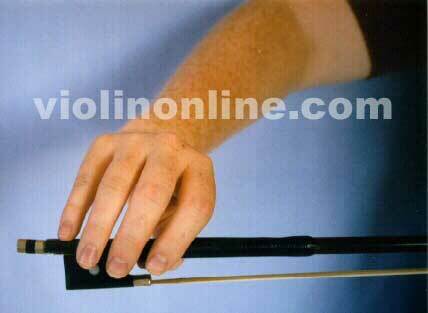 Want to know the proper way to hold your violin bow? Relax your hand, slightly turn your wrist to the left, and let your fingers drop into place. The tip of the bent thumb touches the frog contact point. 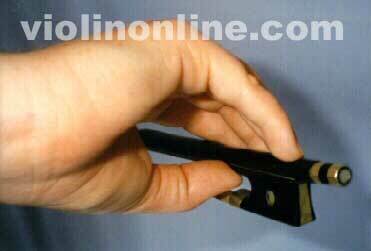 Fingers gently curve over the top of the violin bow stick. The middle finger is opposite from the thumb.